Debt Relief For Individuals And Families. Finding and hiring a local bankruptcy lawyer can be a big pain in the neck and even a little scary. Simply call us now to get all your questions answered. Or fill out the form below and we'll have one of our tested and approved LOCAL Bakersfield lawyers contact you for a FREE consultation. *** EASY! Easy Pay with Low Down and Low Monthly Payments. Also, see the bottom of this page for 5 WAYS to make sure you hire the right bankruptcy attorney in Bakersfield. Listen, we here at Easier Bakersfield Bankruptcy know how to make such a difficult time...EASIER. We've been called by the local press, "The Best Bankruptcy Service in Kern County". Deal with someone here in Bakersfield and you'll be much happier with the process. 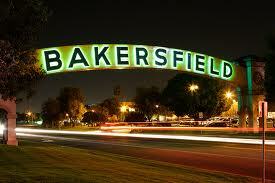 We are Bakersfield bankruptcy attorneys and we understand the specific economic issues for our local area. TIP: You don't want to hire a lawyer from L.A. or Sacramento or anywhere outside of our home area. It just makes things way too hard. The Bakersfield bankruptcy lawyers at Easier Bakersfield Bankruptcy have been helping clients in the local areas for more than 20 years. During that time we have helped thousands of people just like you declare bankruptcy and get much needed debt relief. And we start right at the beginning. If you're new to all of this and you're asking "What Does Bankrupt mean, anyway? ", we're here to help. Our experience and superb personal service allows us to provide you with top-rate legal representation. Helping people in need is what we do. And we love our jobs. Why file bankruptcy in the first place? And Should I file bankruptcy? Or Can I file bankruptcy? And that's all understandable so we created the Bakersfield bankruptcy Frequently Asked Questions page here. You will be working with State Bar Certified Bankruptcy Specialists that offer patience, skill, creativity, and experience. Because of our expertise we are often called upon by local media and the California Bar to provide information and offer insight to debt relief information and bankruptcy filings in Bakersfield. During your free consultation you will receive professional and objective counsel by a Bakersfield bankruptcy lawyer or a qualified representative. If you have a better option than filing for bankruptcy we'll let you know. We'll give you all your options. We'll tell you all about the various kinds of bankruptcies like filing Chapter 7 bankruptcy vs Chapter 13. While other lawyers may make you feel like you're being run through a “mill” we, at Easier Bakersfield Bankruptcy, are more than happy to take the needed time to review your personal situation and answer all your questions. When you call, an experienced Bakersfield bankruptcy lawyer will listen carefully to your individual situation. And we're happy to talk about how your property, personal belongings, debts, and credit history will be affected by a bankruptcy. 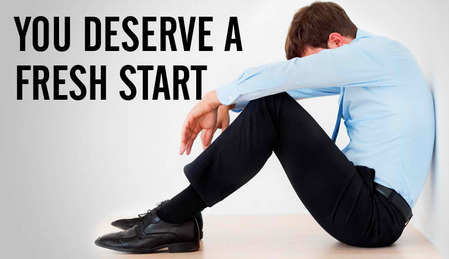 Regardless of whether bankruptcy is right for you, we're happy to get you started on the right foot. There's more about us here. When you do decide that bankruptcy is the correct choice for your situation, we'll let you know what our reasonable and affordable fee will be. Let Us Get To Work For You If You Decide To Proceed. We'll make it as easy and hassle free as possible. Any advice we give you during your free consultation is, well, “free”. Contact us now and let's talk. We're here to help. Or fill out the form below and we can talk via email. We know what questions you need answered. We know how to communicate in a friendly manner. Be careful of do-it-yourself programs, self help guides, and heavily discounted “specials”. These “deals” often come with lack of communication, confusion, and more work for you. The fact is, the GOOD bankruptcy attorneys don't have to discount their fees dramatically to get your business. And they can get things done right the first time. 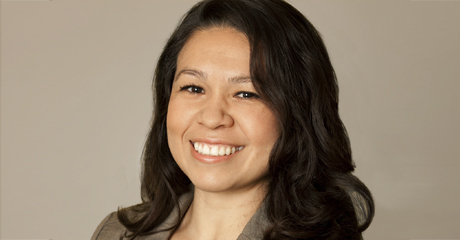 A professional bakersfield bankruptcy lawyer typically runs in the $1,500 to $2,500 range. The more experience and the better reputation a Bakersfield bankruptcy lawyer has, the more he can charge. The more you pay, the more expertise you get. When you call, you'll find that our fees are very reasonable. 1. A lawyer that throws a price at you without knowing the whole story. A thorough consultation should take place first so the lawyer knows your details. Your free consultation with one of our bankruptcy attorneys in Bakersfield, CA will take anywhere from 15 to 60 minutes depending on your particular situation. Only a true professional will take the time to discuss your unique situation before providing you with an estimated fee. 2. A price that is dramatically lower than everyone else. When everyone else is in the $1,500 range why is one guy doing it for $150? Of course, every bankruptcy lawyer will give a reasonable discount now and then. There's nothing wrong with getting a small discount. It's the big discounts you want to be leery of because it means they're not crossing their 'T's and dotting their 'i's. And that means you'll likely end up having to file more paperwork and fix all their mistakes. The U.S. Government made some important changes to the bankruptcy code in 2005. Those with a high income may find it difficult to get full debt forgiveness with their bankruptcy. Some people will be required to take a credit counseling class. No big deal. Hard to believe but a few Bakersfield bankruptcy lawyers have not paid much attention to the new code which can result in delays down the road. Not to fear though, the Bakersfield bankruptcy lawyer we recommend to you knows the new code inside and out. I make darn sure they "know their stuff" before I ever recommend them to you. If she spits and stutters and stumbles for a good answer, you may want to look elsewhere. If you'd like to talk to a Bakersfield bankruptcy attorney that has already been tested and approved, just pick up the phone and call us right away to get your questions answered. Most firms handle different kinds of legal situations. So, in addition to working on a Bakersfield bankruptcy they might also work on a foreclosure, divorce, real estate, etc. That, in and of itself, is not necessarily a problem. Especially if it's a big firm with many attorneys working there. Is it one of her main focuses or is it just something she's willing to do when business is slow. Try to find a firm or an individual lawyer that specializes in just 3 or 4 different areas. Their business cards and/or advertisements will likely list “bankruptcy” first or second on their list of services offered. 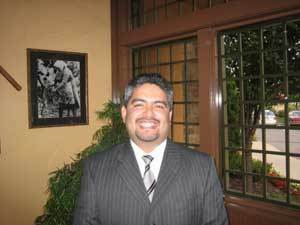 We specialize in California bankruptcies and know how to pull off a bankruptcy without a hitch. I mentioned this earlier...you get what you pay for...Some lawyers across the country have systems set up to run you through a step-by-step mill. The communication and assistance is poor. Their work is incomplete and their methods in dealing with your creditors is sometimes less than honest. They just want to churn you through as quickly as possible because, you know, "time is money". A good bankruptcy lawyer can handle maybe 30 to 40 bankruptcies in any given month. Any more than that and you may be looking at a mill. The answer might give you the information you need. They simply won't want to spend much time getting the details of your situation. They'll give you a handful of paperwork but without much hand-holding. On the other hand, don't expect tons of affection even from the most capable Bakersfield bankruptcy lawyers. They probably have a lot of clients and want to get you taken care of so they can move on to the next client. That's OK. They're not being disrespectful, they just have a lot to do. So, expect good service but don't disrespect their time. 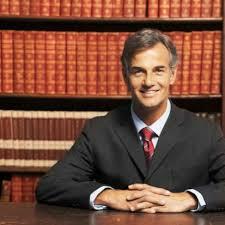 The bankruptcy attorney you hire should be knowledgeable and respectful. But he should also be likable. I guess it's not the MOST important thing but if you “feel” good about your meetings with your bankruptcy lawyer and you are reasonably comfortable around him or her, that's a good bonus. These 5 tips may sound like a lot of work...calling multiple Bakersfield bankruptcy lawyers, asking the right questions, and trying to decide which one to use. And you're right, it IS a lot of work. But remember, at Easier Bakersfield Bankruptcy, we've already passed all those tests. Let us answer your questions with absolutely no obligation.